Making This Mistake in Your Trading Too? 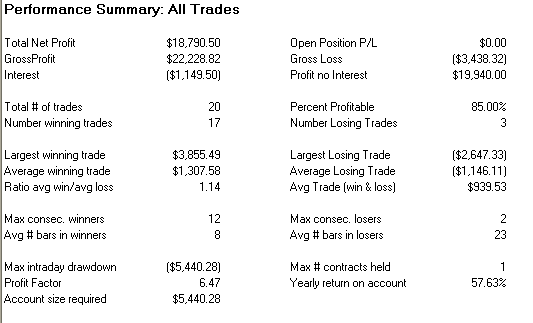 A lot of Traders we speak to ask us why many of the Systems in our Forex Signals Program don’t use Stop Loss orders. We thought it would be interesting to discuss here in today’s blog update exactly why we don’t use stops in our Intermarket Trading Systems and how we profit from other traders who do use tight stops in their trading. Before we get started we would like to point out to our readers that of all the Systems we trade at Forex Trading-Pips, our best performance comes from our Forex Intermarket Trading which use ‘at market’ orders combined with advanced Money Management Technology: No Stops, no Profit Targets. The most obvious reason is because everyone now uses them. The more traders do the same thing, the less likely those traders will make money and the more likely they will lose. One of the first things Traders are advised by Brokers and Trading Educators when they start trading is that they should be using Stop Loss Orders on every trade. Some brokers even force traders to use Stop Orders when they open a trade. There is one simple explanation for this: stop loss orders generate commission. Good for the broker, bad for you! It’s important to understand the closer your stop, the more likely it is that you will be stopped out and the more frequently you will trade. Many traders use tiny stops so that they can leverage up their accounts while maintaining a small % total risk. Warning! this method is death by 1000 cuts and you will eventually destroy your account. But Isn’t not using Stops just too Risky? Risk on your account is best controlled by position size. Instead of searching for a ‘single’ best forex trading system with stops we take small uncorrelated positions across Multiple Systems, Multiple Markets and Multiple Time Frames which enables us to effectively control risk better than any ‘stop loss’ methodology! How can we Profit from Other Traders who Hold Misconceived Ideas About Risk Control and Stop Loss Orders? Remember earlier we said the reason stop losses are becoming less effective is because everyone is now using them? Once you understand this it’s a simple matter of trading against those traders who use tight stops in the markets: we want to be entering when they are exiting, exiting when they are entering. We are going to share with you now one of the most effective strategies for exploiting other traders who get washed out of their trades during strongly trending markets using stop loss orders: The RSI Pullback method as popularized by Larry Connors of Trading Markets in his excellent book Short Term Trading Strategies That Work. 1. Find a strongly trending market: (up or down) as measured by a combination of Moving Average and ADX. 2. Use Pullbacks to enter Positions in the Direction of the established Trend using extreme readings in the 2 period RSI. 3. Exit open positions into favorable momentum using RSI or Moving Average Indicators. To illustrate, lets take a look at EUR.USD between 2002 and 2008. We ran our test on EUR.USD daily bars, 1 lot per trade: long entry if price closes above 200 day moving average and 2 period RSI closes less than 5, long exit on a close above 25 day moving average. As you can see this simple strategy performs incredibly well during a strongly trending market with profit factor of 6.47 and 85% winning trades! Traders who use tight stops have their positions taken out of the markets at the exact moment they should instead be initiating positions in the direction of the established trend.